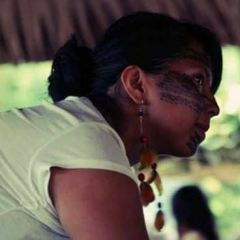 Abigail Gualinga es dirigente de jóvenes en Sarayaku, Ecuador. Abigail Gualinga is a youth leader in indigenous community of Sarayaku, Ecuador. We need more outlets where youth can get involved and make our voices heard because we, too, have much to say and offer.